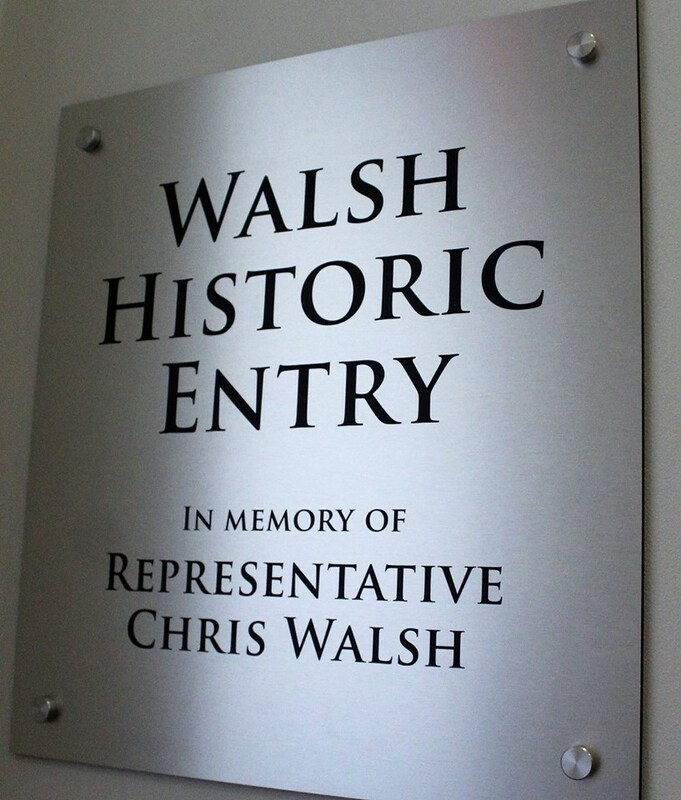 FRAMINGHAM – The late State Rep. Chris Walsh was a huge advocate for the arts, and especially the Danforth Museum. He spoke eloquently on Town Meeting floor and around the community for the Museum and art school to remain in Framingham, and for it to remain a treasure in Framingham. he advocated for Framingham State University to save the Museum & art school, after the Town of Framingham evicted it from the Danforth building. Tonight, April 13, a ribbon cutting ceremony was held for the Museum, now housed in the historic Jonathan Maynard Building across from the Framingham Centre Common. 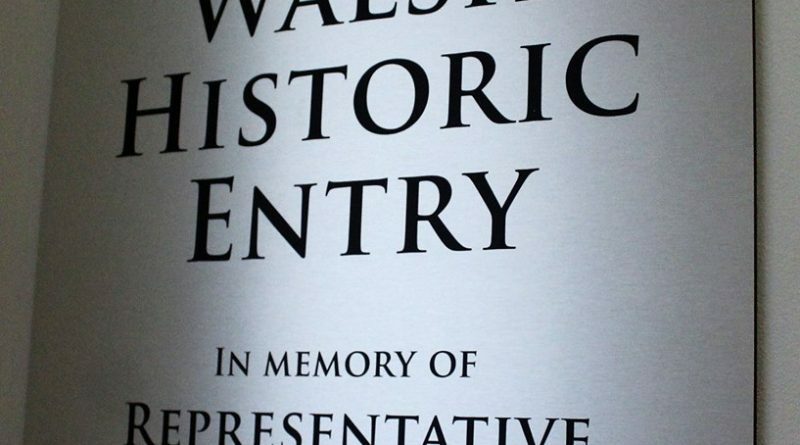 Framingham State University President F. Javier Cevallos announced the entrance that faces the common will now be known as the “Walsh Historic Entry” to the museum. Chris Walsh’s wife, and children were in attendnace at the VIP reception at the museum Saturday evening. On Sunday, there is a FREE community open house at the museum from noon to 4 p.m.